Cleveland Cavaliers head coach Tyronn Lue was not having it on Sunday night. That’s because his team has now opened the season 0-3 and doesn’t seem to have any answers. 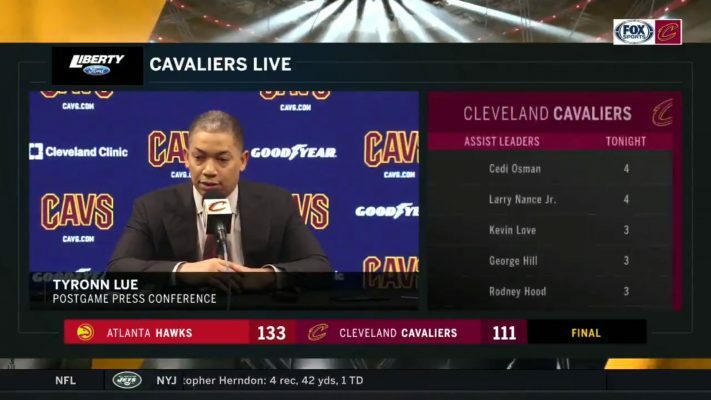 That was made apparent by Lue’s responses on Sunday during his postgame press conference after the Cavs lost to the Atlanta Hawks by a whopping 133-111. The team’s biggest issues seem to be on the defensive end as they have given up 133 points to the Hawks, 131 points to the Minnesota Timberwolves, and 116 points to the Toronto Raptors. Lue and the Cavs are still likely looking to establish an identity on both ends of the floor as the team was built around former Cavs superstar LeBron James last season. 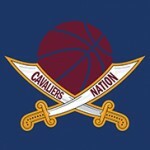 Nonetheless, they better figure it out quick as the Cavs have a back-to-back coming up against the Brooklyn Nets and Detroit Pistons.